CD cover shows the regular Zzooouuhh cover. CD spine shows "DELIRIUM - ZZOOOUUHH + DEMOS/LIVE". Tracks 1-1 to 1-9 are from the 1990 album "Zzooouhh". 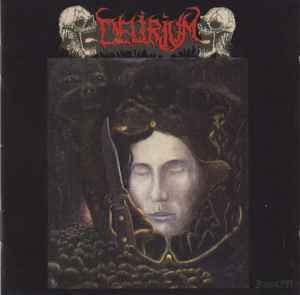 Tracks 1-10 to 1-12 are from the 1988 "Delirium" demo 1. Tracks 2-1 to 2-4 are from the 1989 "Amputation" demo. Tracks 2-5 to 2-11 are "Live in Aalst, Belgium". Tracks 1-1 to 1-9 recorded and produced June / July / August 1990 at the Beufort Studio's Berkhout (NH). Tracks 1-10 to 1-12 recorded at Han Swagerman's (Sr) Home-Studio, August- September 1988 in Berkhout, NH. Tracks 2-1 to 2-4 recorded at Beaufort's, October 1989. Tracks 2-5 to 2-11 recorded live 31/3/1991, Netwerk, Aalst, Belgium. Track 2-7 originally performed by Celtic Frost. All tracks mastered for CD / LP at The Ancient Way Mastering September 2015.